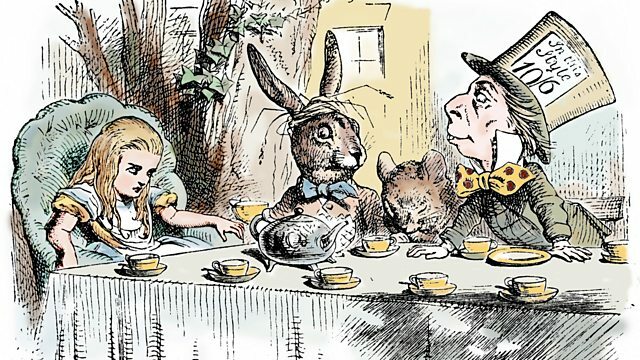 Siouxsie Sioux explores the strange allure of Lewis Carroll's Alice's Adventures in Wonderland, published with darkly satirical images by John Tenniel 150 years ago. Alice's Adventures in Wonderland has become an icon of British culture - the bizarre story and flamboyant illustrations have inspired all kinds of imagery, fashion, architecture, theatre, decoration and events. But its sinister undercurrents and dreamscape have also impressed artists and musicians. On the 150th anniversary of the publication of Lewis Carroll's book, lead singer and song writer of alternative rock band Siouxsie and the Banshees, Siouxsie Sioux, explores its strange allure. "From 8 onwards, I returned to those pictures of strange, impossible animals and freakish, devious adults as I followed the solitary, brave girl, from one weird encounter to the next. I was struck that Alice could grow or shrink at the bite of a cake or the sip of a drink - my body was changing by the day and I was desperate to be older and taller, like my sister, as I wobbled around in my mum's high heels. The Mad Hatter, the Dozy Dormouse, the Mock Turtle, the Duchess' baby pig and playing croquet with flamingos as mallets all made me laugh and I loved the floating head of the grinning Cheshire Cat who couldn't be beheaded. Siouxsie Sioux travels to Oxford to retrace Lewis Carroll's inspiration and influence. With an Un-Oxford soundtrack.